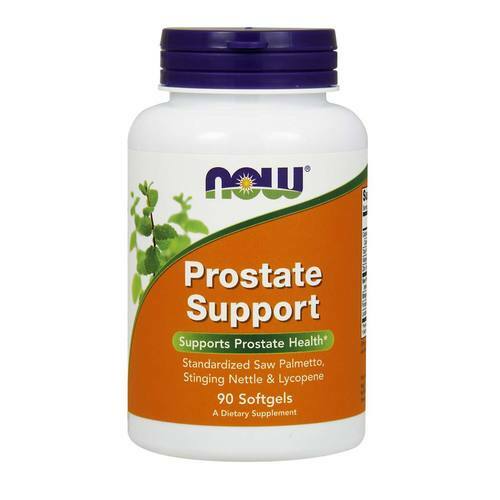 Prostate Support is part of Now Foods line of specialty men's health formulas. Try it today for a great, low value. Warnings: For adults only. Consult physician if pregnant/nursing, taking medication, or have a medical condition. Keep out of reach of children. Natural color variation may occur in this product. Do Not Eat Freshness Packet. Read complete product label for full information. Notes: Contains no sugar, salt, starch, yeast, wheat, gluten, corn, soy, milk, egg, shellfish or preservatives. Produced in a GMP facility that processes other ingredients containing these allergens. Recommended Use: Take 2 softgels 1 to 2 times daily with food. The customer reviews posted below are based on individual consumer experiences and may NOT necessarily represent what expected results will be from using or taking Now Foods Prostate Support - 90 Softgels. These results may not be typical and you should not necessarily expect to receive the same results. Actual results may vary. I bought this for my husband since he was having some prostate problems. He was having some stomach upset with saw palmetto, so I was on the look out for something different. This has so far been fantastic. He really likes the difference it has made for him. I didn't see any reviews when I purchased it, so I was a little hesitant. I am happy I bought it. I am telling every man I know about it now.